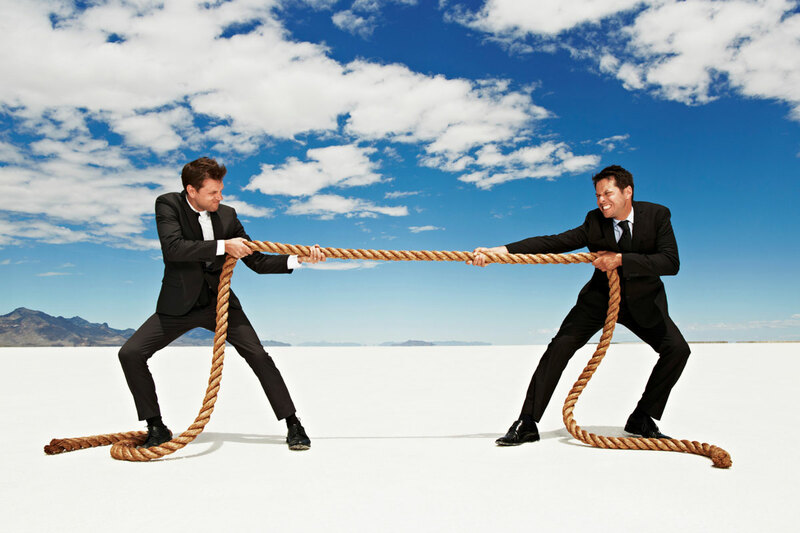 After continuous and successful marketing of your B&B, now comes the most difficult part: retaining your customers. With the stiff competition involved, you are likely to lose your guests once they get the slightest hint of unappreciation. These 9 tips will earn you loyal guests that will always return to your bed and breakfast each and every time they are in the locale. When reviewing a B&B, one thing customers often comment about is their first experience when they arrived. Before their first meal and nap, how did you welcome them? 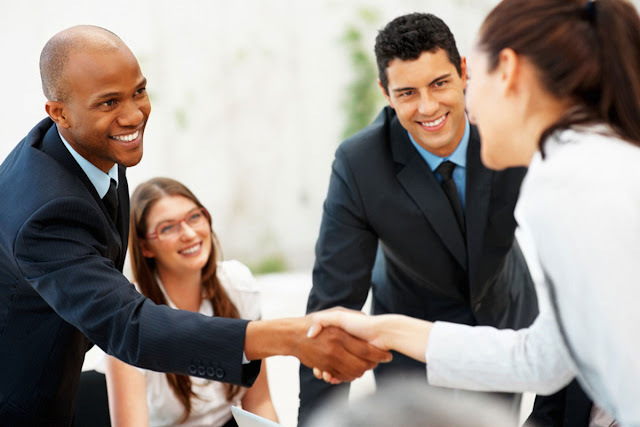 In most cases, it is your staff that makes the first contact with your guests. Make sure that they are aware of the importance of a good first impression. How you treat your guests, and how much help you will be to them the moment they set foot to your B&B matters a lot. Also, what about the look and feel? It doesn’t necessarily need to be that complex, but you can try modifying the interior and exterior features to give the best possible look. Let your guests feel home whenever they set foot in your B&B. Know what your other competitors are doing and know what you are missing out on. How much are their charges? How comparable are yours with the services they offer to their guests? The secret is offering your guests a deal that is better than those of your competitors. It doesn’t necessarily mean that you have to lower your prices, but you can try offering your services in the most satisfactory way. Once you are comparable with your competitors' services, you will know where to make adjustments in your B&B. Also, it wouldn’t hurt going that extra mile to provide better services than those of your competitors. Interacting with your guests on a personal level is not only entertaining to your guests but also shows that you actually care about them. The fun that comes with it will likely attract them in the future as it gives them a homey feeling. It can be as simple as inviting your guests for a glass of wine or a cup of tea in the evening. In your conversations, show genuine interest and contribute by asking questions and giving suggestions and tips. Always strive to offer above-average, and you will be surprised as to how fast things can shift in your favor. Exceed your guests’ expectations by offering them excellent service, and comfy accommodations. Be part of their lives during their short stay with you and make sure they have an exceptionally good time. Surprise them with small gifts and a delicious breakfast. At the end of the day, it is the little extra things that you do to make your guests smile that matter most. 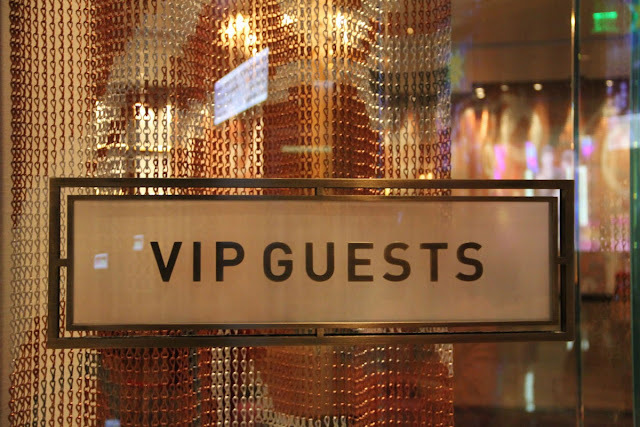 Before you are able to meet your guests’ needs, you must be well informed of what they are. Needs may fluctuate depending on the type of guest, but you can always pick up a thing or two by just interacting with them. Avail yourself in your B&B, make personal contact, and listen to what your guests have to say. In most cases, you will be met by suggestions as to how you can tweak your operations to exceed your guests’ needs. A better understanding of your guests’ needs means that you have a better chance of meeting their expectations. 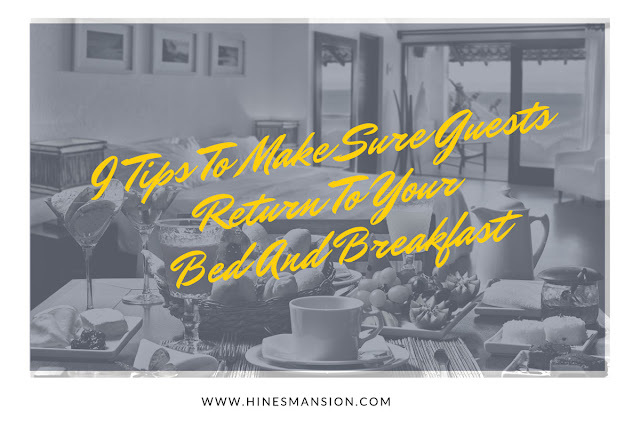 If done well, your guests will always find their way back to your B&B during their next trip to the area. One way to guarantee a smooth experience for your guests is by ensuring that your staff has the level of experience needed. Give your staff appropriate training and provide them with tools and a favorable system that will help them meet your guests’ expectations. If there’s one thing that is likely to cost you your guests, it is a poor customer service experience. 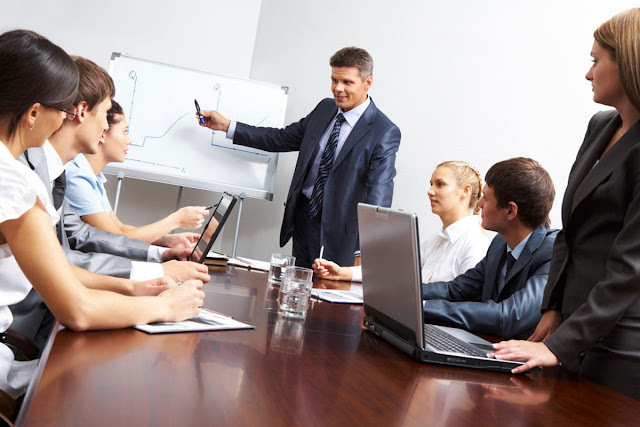 The best way to curb this and shift odds in your favor is by ensuring that your staff training is great and up-to-date. Even while concentrating on getting new guests, don’t forget to cement your relationship with your loyal guests. Your guests will always find their way back to you, provided they are aware that their presence is appreciated. Surprise them with VIP treatment on their next trip to your B&B and let them understand that you care about them. It can be as simple as a discount on their next stay, or an exquisite meal not offered on your menu. If there’s one thing people love, it's being given special treatment, and your guests are no exception. As much as it might not be realized, the last impression your guests get on their way out influences their decision to return later. Perhaps, it has to do with the fact that it is the freshest memory of their stay at your B&B – and if done well, results are a guarantee. What most people don’t realize is that it is never enough until you’ve earned yourself a long-term guest. Even after earning their trust, you should go ahead to make their current experience better than their previous one. A simple ‘Thank You’ can do – it is even better when specially written and given to them before their departure. Depending on the location of your B&B, you can gift your guests with a gift bag with necessities that might come in handy on their way back. Even after their departure, make it a habit to always maintain contact with your guests. Contact them periodically, probably after a month or so, to remind them of your B&B and the offers or discounts you have lined up. Make sure to blend in a friendly tone in your messages to give them the intended weight and warmth. With your B&B in their mind, there is always a good chance that they will come back, or refer somebody to you. Even while interacting with your guests, it is important that you keep in mind that none will be alike. While some are quite interactive and easy going, others prefer their personal space. Regardless of their persona, always strive to provide them with an experience they are not likely to find anywhere else.